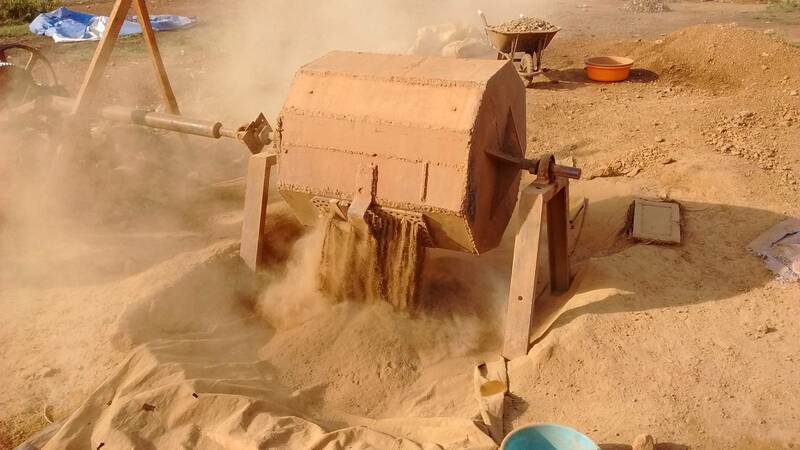 This is rudimentary ball mill also well known as calasher (english crusher) in Swahili language. The ball mills run in batches of about 45 minutes. Once the batch of milling have been finished the cover is replaced with the screen with holes so that powder material may run out.